Frequently touted as the perfect mountain town, Breckenridge makes an ideal destination for private jet travelers. It has everything that you could want from a luxury vacation destination – decadent resorts, gourmet eateries, and posh cocktail bars are found in abundance in this mountain getaway; gorgeous mountain views, technical summits, and impeccably serviced ski resorts come with the territory. Chartering a private flight on a luxury jet or helicopter with Private Jets Colorado is the best way to get in and out of this charming resort city. Our Wyvern certified jet charter representatives have the experience necessary to ensure that all of your needs are met. Whether you’re a top business executive or first-time private flyer, our team is available 24 hours a day and 7 days a week to ensure that your needs are met exactly when they need to be. We can arrange everything from multi-leg private flights with gourmet in-flight catering to luxury ground transportation and private helicopter lifts. So request a quote now, or give us a call to book your luxury private flight to Breckenridge, Colorado. Walking the line between hotel, resort, villa and bed & breakfast, Breckenridge houses its guests in cozy, spacious ski lodges. These ski lodges cover all of the bases when it comes to hospitality, and they make great options for luxury private jet travelers in the area. Ranging from boutique and personable to decadent and full of amenities, there’s a lodge for just about every occasion. Cozy living spaces with crackling fireplaces, balconies with awe-inspiring summit views, and impeccable service can be expected from these charming lodging options. With great quality of location, amenities, and service found just about everywhere, you’re sure to have a great time regardless of where you stay. There are definitely a few that standout and do things a bit better than the rest, so we’ve compiled a list of the best hotels for luxury private jet travelers in the area. Based on private jet charter client feedback, online reviews, amenities offered, and location, there’s sure to be something on the list that suits your needs; read on to check it out. The top attractions in Breckenridge are skiing, hiking, and biking. However, there are plenty of attractions for people of other interests in the area as well. 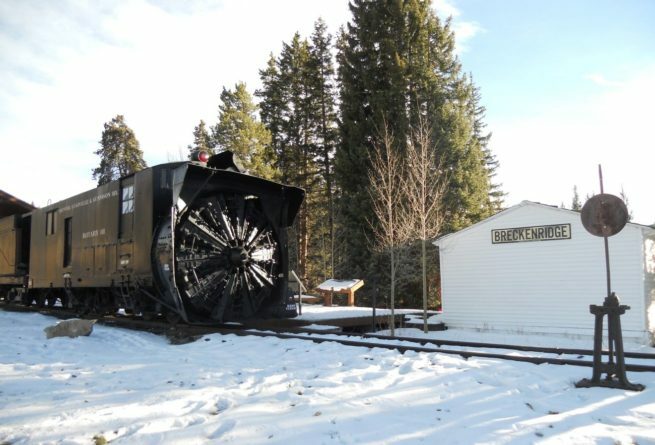 Founded back in 1859 by a small group of prospectors, Breckenridge quickly developed into a veritable boomtown, driven by the era’s iconic gold rush. The city still celebrates its history with several monuments, historical tours, and museums that all make for great day trips. Check out the Barney Ford House Museum; popular among locals and travelers for its Victorian charm, this slice of African-American history is an absolute “must-see”. If you prefer a night out on the town to a day walking through history, Breckenridge has you covered with a wide variety of gourmet restaurants, elegant cocktail lounges, sports bars and casual diners, and just about any other diversion you could hope for. For a decadent evening of pampering yourself and your taste buds, take the private gondola ride over to the celebrated New American fine-dining establishment, Alpenglow Stube. This gourmet tradition is sequestered in the Keystone Resort, and offers the best dining available in the entire ski industry Alpenglow Stube was rated as the highest AAA Four-Diamond dining experience in North America. However, if you’re looking for something a bit more casual, there are bars aplenty to be found off of Main Street in the city’s wonderfully walkable downtown. Of course, this city is really known for being a world class ski destination. Breckenridge Ski Resort is sure to fulfill any winter sports desires that you may have, and also offers professional lessons – should you need a bit of a refresher course. Whatever you end up doing while you’re there, whether it’s enjoying mother nature or pampering yourself at a resort, you’re sure to have a great time. But some attractions are better than others, so we’ve compiled a list of them. Based on jet charter client feedback and online reviews, this list is a great place to start when developing your itinerary; read on to check it out. 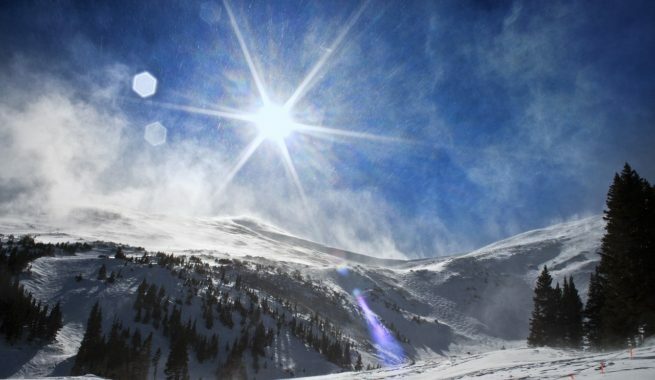 A popular destination for skiers and snowboarders, the bottom half of this scenic summit is serviced by Breckenridge Ski Resort. Private Jets Colorado utilizes the following airports to fly clients privately to/from Breckenridge, Colorado and neighboring areas. Request a Quote or give us a call at 1-888-987-5387 to speak with one of our Breckenridge Private Jet Charter agents for your next luxury vacation, business trip, or special event.